Water Factory Systems is a sub-brand of 3M Purification and strives to provide you with premium filtration systems for your home and business needs. Their reverse osmosis systems use proprietary replacement filters to make it easier to find the right replacement filter. 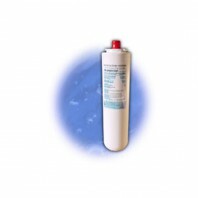 Water Factory Systemsâ€™ Ro systems use a sediment/carbon pre-filter to reduce chlorine, chlorine by-products and sediment before the membrane filters out impurities larger than .001 microns. The carbon block post filter treats for taste and odor.